One of six books in the Yorkshire Dales Top 10 Walks series. 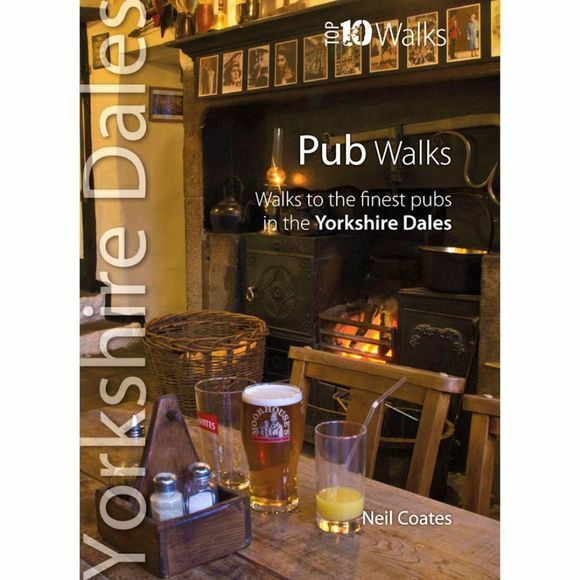 This attractive and cleverly structured guide gives walkers ten of the finest pub walks in the Yorkshire Dales National Park in a popular pocketable format. With clear information, an overview and introduction for each walk, expertly written numbered directions, Ordnance Survey maps, superb, eye-grabbing panoramic photographs, and interpretation of points of interest along the way, these guides set a new standard in clarity and ease-of-use. Featured walks include: the White Lion Inn, Cray; Rose and Crown Inn, Bainbridge; Buck Hotel, Reeth; New Inn, Clapham; George and Dragon, Dent; Craven Arms, Appletreewick; Falcon Inn, Littondale; Bolton Arms, Redmire; Buck Inn, Malham; Red Lion, Langthwaite. Neil Coates is a professional writer of UK outdoor guides and has authored several guides to Northern England, including the Yorkshire Dales and Peak District National Parks. He is also a member of the Outdoor Writers and Photographers Guild.